Previously we already introduced Lakewood Links. Today we’d like to suggest great restaurants and interesting places that you may want to visit finishing up at Lakewood Links. 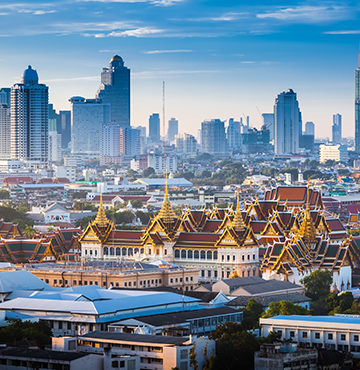 If you want to enjoy a meal after golfing, there are plenty of delicious and famous restaurants around Suvarnabhumi airport. Koh Lanta restaurant is a short distance away from Suvarnabhumi airport, and is perfect for eating out with friends and business partners in a charming and unique atmosphere. 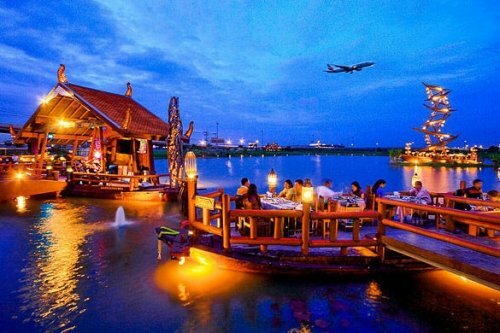 Here you may watch the airplanes take off and land while having dinner, which makes this restaurant different. We recommend ordering the crabs at Koh Lanta. Recommended menu: Hor Mhok Koh Lanta (steamed seafood with curry paste), deep fried fish in fish sauce, spicy oyster salad, and spicy Egg Crab curry, and spicy Sea Crab curry. This wonderful restaurant “Khun Sin Ped Yang” is in the Lat Krabang area. Just by walking through the restaurant, you will be surrounded by the sweet smell of honey-roasted duck. The restaurants’ secret recipe is guaranteed by many people to be extremely tasty. Crispy duck skin, sweet soft duck meat, and a special sauce poured on the rice, with all these ingredients we can confirm their deliciousness. Recommended menu: Roasted duck, special sauce steamed ham with rice, boil chicken with rice, steamed stuff bun, Chinese snacks. 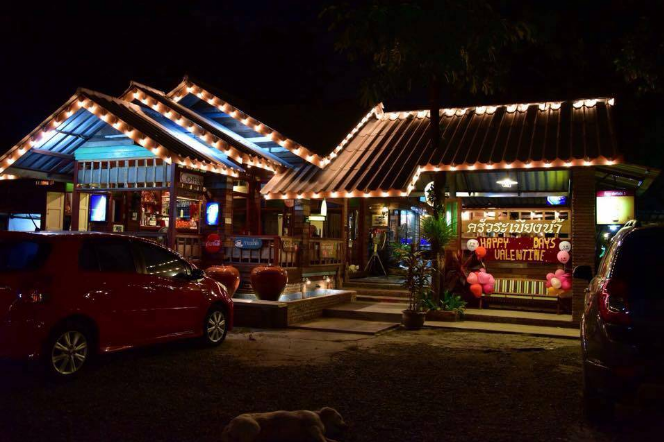 “Kruarabiengnam”, a local Thai restaurant is also located on Lat Krabang road. This restaurant serves any kind of Thai food with excellent taste. 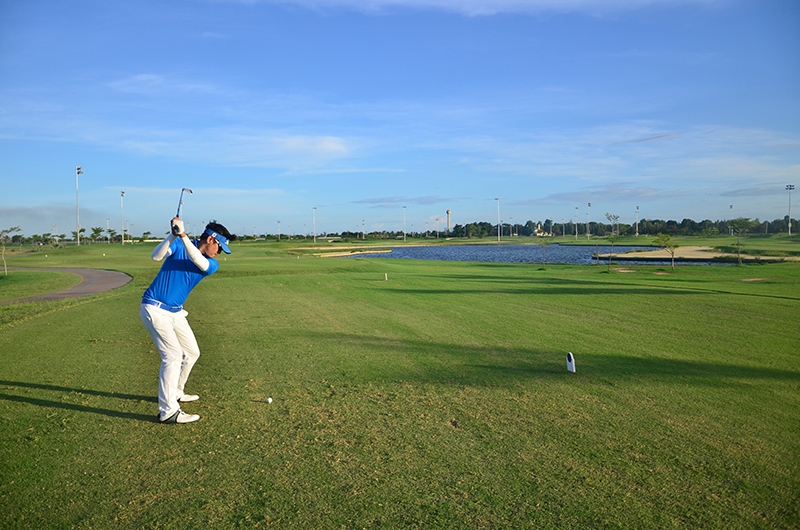 This place is perfect for the golfers who come to Thailand and want to try the real taste of Thai food. 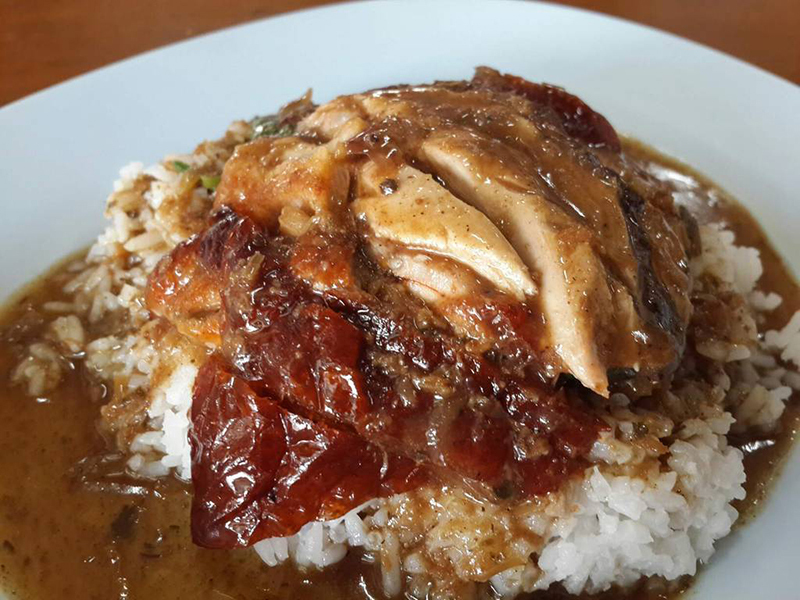 The recommended menu are curry bowl, curry cooked with fried fish or pork served with a spicy sauce and green curry. The restaurant atmosphere is chill and homey, same as eating at your own home. 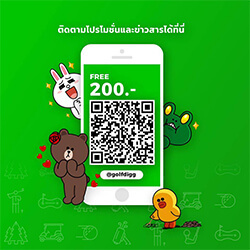 Apart from these restaurants, there are also several interesting places to visit such as the crocodile farm in Samut Prakan. The crocodile farm in Samut Prakan is the biggest crocodile farm in the world. Every day there are crocodile shows and elephant shows which are some of the most visited tourist attractions. 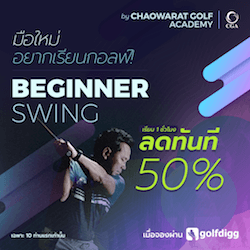 This is an option for golfers who would rather go shopping. 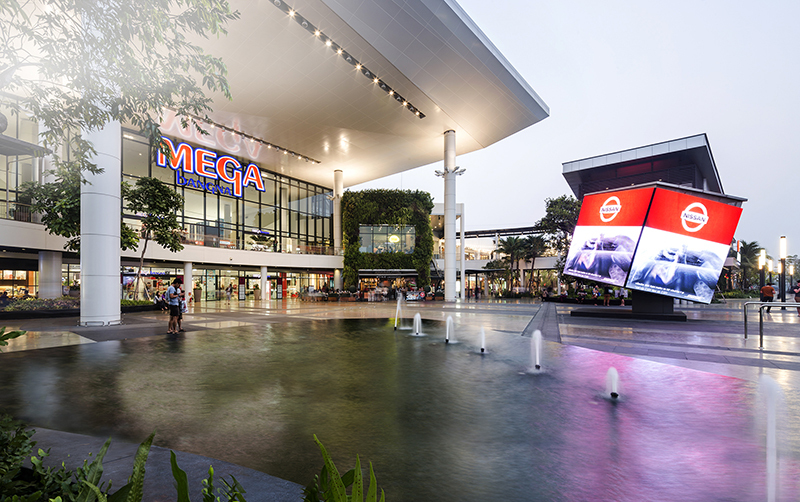 Mega Bangna is an enormous department store and may be South East Asia’s first horizontal department store. This shopping mall provides every types of product, services and entertainment for the whole family. 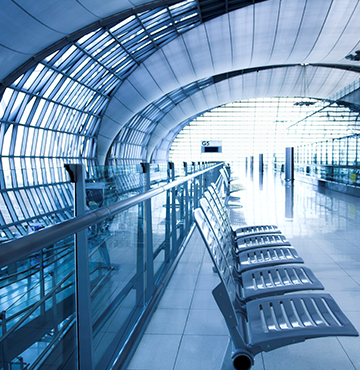 You can enjoy more than 400 lifestyle shops, famous restaurants and even has a free car park. Do you need brand clothes, watches, accessories and bags? Try going to Mega Bangna.